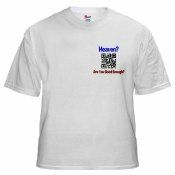 Featuring MTA original designs that include a QR code that brings smart phone users to the www.911Christ.mobi web site. Intellectually stimulating and personally relevant, this insightful series by John MacArthur is ideal for pastors, teachers, and laypeople alike. With practical illustrations and clear verse-by-verse exposition, MacArthur avoids becoming overly technical, even while tackling problematic topics such as the role of women, spiritual gifts, and the rapture. Using a dispensationalist approach, his purpose is to provide life applications. 28 hardcovers, from Moody.